129 Family Fun: Kit's Review of Fantasmic! In this episode, our four-year-old son, Kit, gives us his review of seeing Disneyland's Fantasmic! for the first time! 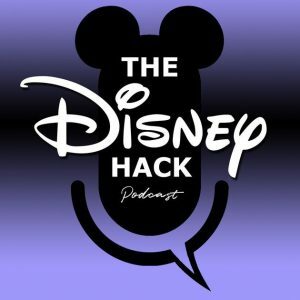 In this bonus episode, a Disney Community Spotlight, we get to know Joey McGirr from the Disney Hack Podcast! He answers some fun questions and also tells some fun stories from his time working graveyard Disney Custodial at Disneyland! In this episode, Megan & Kris talk about some ways to make great memories at Disney parks! Kit Talks Mighty Ducks and Kitchen Hockey! Five year old Kit talks about watching The Mighty Ducks and playing "kitchen hockey" with Daddy! In this episode, Megan and Kris talk about their top five Disney wins! 5. Flying to WDW with two kids and a baby. 4. Sitting front row at the Festival of the Lion King and Kit getting to go up and interact with the cast including Timon.